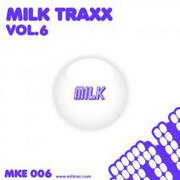 Anthony Louis and Alain Diamond , present milk traxx vol.5two massive electro track that rapresent the versatility of the duo producer. A catchy electric guitar riff and distorted sinth for Iron and a hypnotic voice and fixed groove makes the release unique. In your "bag"!!! Manuel De La Mare & Luigi Rocca bring spirituality back to the dancefloor with the tech house piece"Azul"
Staying faithful to the original conception of 303lovers, Manuel De La Mare and Luigi Rocca plan to release their new tech house collaboration "Azul" on the 14th of February on their own label 303lovers. This was an amazing and extremely productive year for our label and the artists involved. Last Ep for 2012 on Asymmetric comes from Yves Eaux alongside his partner in crime Ruslan Cross . Yves had a very successful release with us in the summer and we feel its right to bring the year to the closure with a new contribution from him. Remixes come from Kieran J ,who comes with a very deep and melodic interpretation and Diskonekted (Filip Wieser) with a more techier affair.